Self-driving project of Alphabet Inc. has been advertising dozens of jobs with special focus on manufacturing expertise on its website. 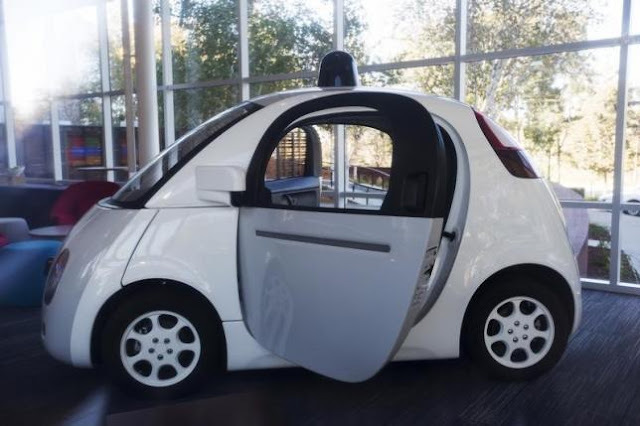 Jobs related to the Google X car project of around thirty six had been listed comprising of engineers working on display, motion control, robotics and sensors together with managers charged with operations, materials and marketing. Google who had refrained from commenting had denied earlier that it had any interest in the making of cars. Several industry experts were of the belief that the tech giant would be partnering with established carmaker, supplying the software which would invent the fully autonomous vehicle. However, the job listed offers insight on how much hardware has been built by Google in its contribution to the future cars. A key priority of traditional carmaker, technology companies like Apple Inc. Uber Technologies Inc. and auto suppliers,is developing self-driving cars. A manufacturing process engineer job listing has mentioned that the post is responsible for designing factory assembly stations, automating critical manufacturing process, optimizing production floor layout and approve fixture designs utilised in the assembly of electronic modules for self-driving cars. The manufacturing supplier quality engineer would be creating and approving `manufacturing inspection processes, mechanical components, mechanical assemblies, tools gauges and fixtures for raw materials. The mechanical global supply chain manager will be responsible for manufacturing development execution besides other tasks. In January, the president of Google self-driving car project, John Krafcik, had mentioned that he wanted to form partnerships with established carmakers and suppliers to speed up work in 2016. When Krafcik had been hired in September, his earlier experience at Hyundai and Ford had driven speculation that Google had plans to build its own cars. Other jobs were also posted by Google beyond the manufacturing which provided hints as to the scope of the developing project. The position of marketing manager posted nine days back needed someone to shape-go-to-market strategy and storytelling in order to win hearts as well as minds of community members, governments and influencers.The company is also on the look-out for a head of real estate and workplace services recommending that the hiring may continue to increase. The hiring rampage tends to reflect Google’s aspiration to join the driverless car manufacturing trend and though the Silicon Valley based tech company had denied rumours of driverless car manufacturing several times in the past, the recent adverts posted by its secretive X division indicates the possible plans of bringing Google branded driverless cars to the market very soon. Google had achieved a landmark victory on 4th February when US federal authority The National Highway Traffic Safety Administration – NHTSA had agreed to consider the tech firm’s AI system as the legal driver under federal law. The decision had been a main boost to leading tech and automobile manufacturing companies who had been vying to bring driverless cars in the US and international markets in past. Google is presently testing its autonomous car in US though the company had recently received an appeal from London transport authorities to expand testing to British capital too. Google has yet to remark on its plans for the future for its driverless car division.